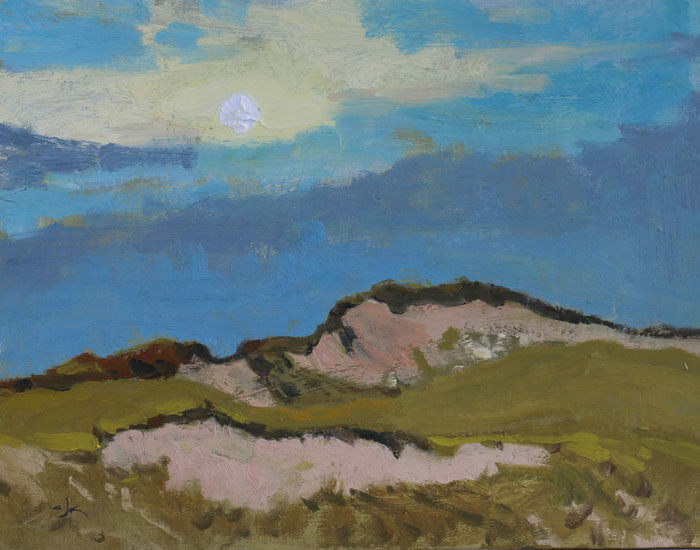 Sunrise Dune painting was painted en plein air during an artist-in-residence stay at C-scape Dune Shack on the Cape Cod National Seashore. The ancient values of dignity, beauty and poetry which sustain it are of Nature’s inspiration: they are born of the mystery and beauty of the world. – – Henry Beston, The Outermost House. Claire J KendrickSeascape SeriesJune 20, 20160 commentscjk, claire J Kendrick, dune painting, oil, seascape, sunrise.